As in the case of cameras, the best calendar you have is the one that always with you. And with a crazy schedule, it’s practical to find the best calendar app that will be stored on one device that you always have - on your smartphone. But which calendar apps are the best? Are free calendar apps as good as paid alternatives? We have provided you with a complete list of the 5 best free calendar apps for Android and iPhone. Cozi is a fantastic free calendar option available both online and as an app. It’s ideal for busy families. 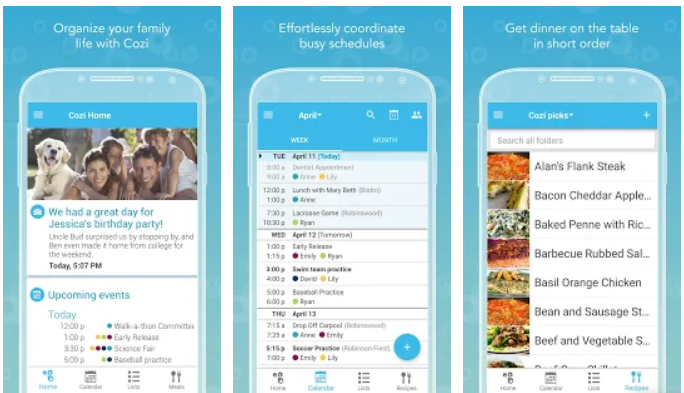 Obviously, you don’t have to have procreated to use the app, but it really shines with its color-coded family calendar that uses natural language to enter events, sends reminders to one, some, or all family members, and sends out a useful daily or weekly “family agenda” email. Other useful features include shareable shopping lists, to-do lists, and a recipe box that lets you schedule meals. There’s even a “Family Journal” section that lets you save photos and moments and share them from the app. 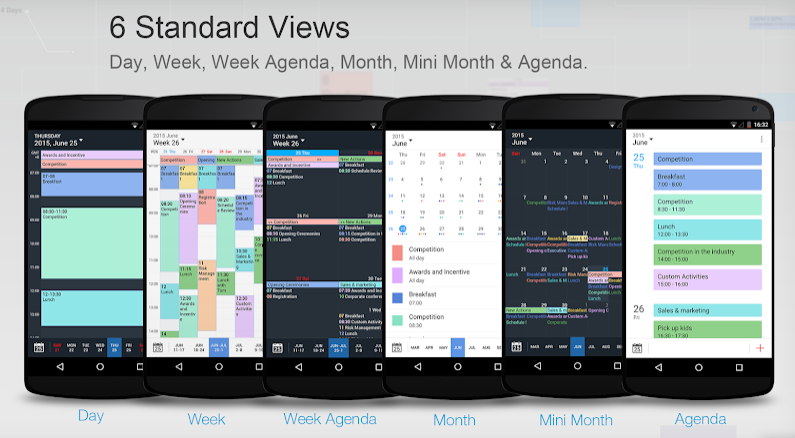 When you consider the best calendar apps available, there’s no ignoring Google Calendar. If you use Gmail, then Google Calendar is a no-brainer for its clever integration. For one, your Gmail events (like flights and tickets for events) are added to your calendar automatically. Unlike some other calendar apps, creating to-do reminders is free and easy to do. Plus, Google’s smart suggestions make entering text into the calendar quick and easy. Apple Health users can benefit from Google Calendar’s integration. Your calendar will track your workouts, runs, or bike rides and mark your goals as completed automatically. TimeTree is another great option for families and groups. With the ability to sync with Google Calendar, Outlook, Apple Calendar, you can create multiple TimeTree calendars and share them with different people. 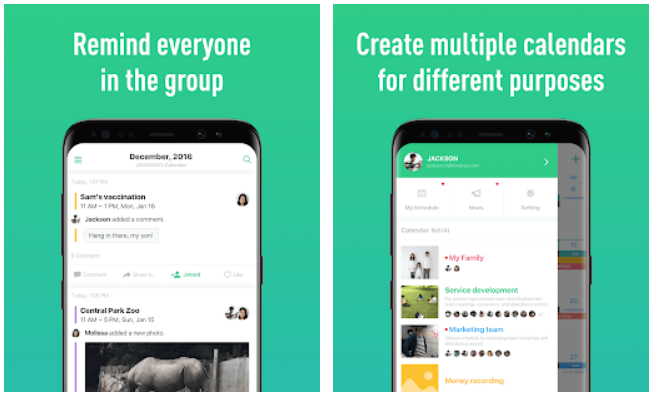 So you could realistically create separate family, work, and social calendars with color-coded events that you can view on a weekly or monthly basis. TimeTree’s most interesting function is its ability to group chat about an upcoming event. Once an event is created, anyone invited can upload comments, notes, and even images. If you want to get the most of out Tiny Calendar, you’ll have to pay. But this app offers decent free functionality as well. 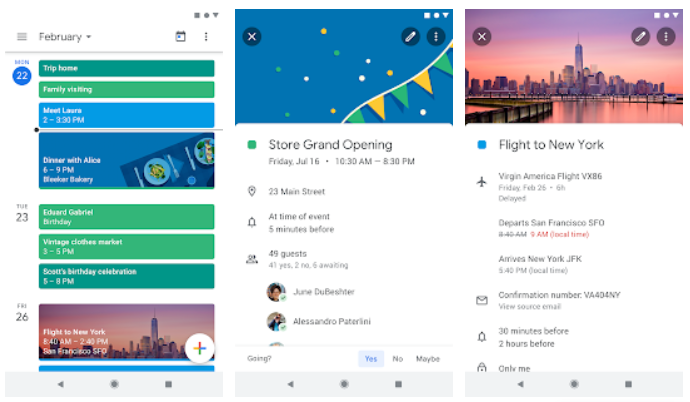 Tiny Calendar syncs with Google Calendar and your mobile device’s calendar to supports events on iCloud, Exchange, and more. The interface is clean and user-friendly with drag and drop, gesture controls, and the ability to add events with voice commands. If you miss the layout of your old analog agenda, Tiny Calendar gives you no less than eight standard views—day, week, month, four-day, year, mini-month, weekly agenda, and daily agenda. Lastly, it’s worth noting the Tiny Calendar app works offline. You can still create events and edit your calendar when you don’t have a connection. The app will simply sync next time you’re in range. Although clearly a niche offering, My Study Life is a very popular cross-platform planner for students and teachers. The app gives users a unified tool to see their classes, homework and projects, and exams (all stored safely in the cloud) on any device. The calendar supports daily and weekly rotation timetables with advanced academic year and term options. 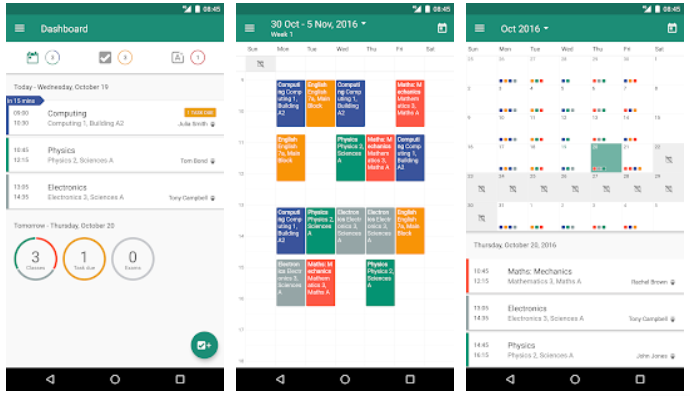 You can also create tasks for homework, assignments, and revision and get reminders in the calendar. Looks-wise, My Study Life’s calendar offers color-coding and a clean interface. And for students who have to leave their smartphones turned off in school, the app works offline, syncing seamlessly when you can get back online.